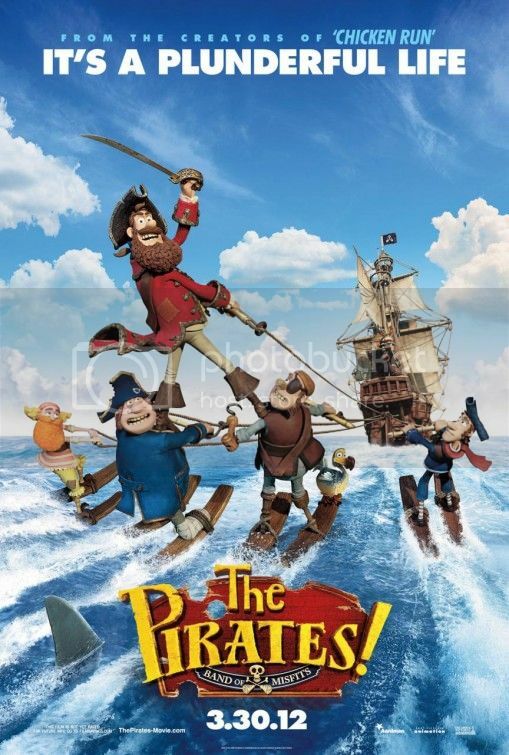 I don't think you need to have read the books to enjoy the movie, which is about a group of somewhat ridiculous and ridiculously named pirates—Pirate Captain, Pirate with a Scarf, Albino Pirate, Surprisingly Curvaceous Pirate—and their adventures with a certain Charles Darwin. (No, the movie and the books are not historically accurate.) A lot of the character voices are quite recognizable—Martin Freeman, Hugh Grant, David Tennant, Jeremy Piven, Salma Hayek and Anton Yelchin, to name a few. The movie is being marketed toward children, and while it is "safe" for young viewers, it was a crowd-pleaser with the above 20 set as well. In general, it's a fun movie full of silly humor that's great for a night on which you just feel like an honest chuckle. And listening to David Tennant's voice.